Customer Picture Number 191 Selected. Cool Car decals applied. 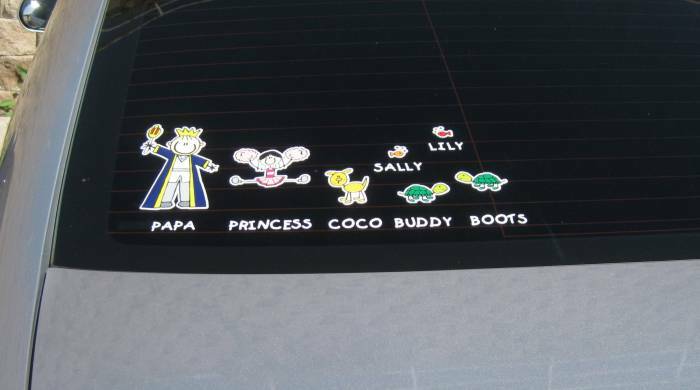 Custom full color family decal, design provided by customer.